To provide professional business services and support to our clients, adding to the reputation and value of each. To maintain the highest ethical standards and practices while developing new customers for The Lessler Group and its clients. The Lessler Group represents clients who are professional service providers to public agencies and the business community in the greater Solano County area. We feel strongly that these service providers are the "best of class" in each of their respective markets. This is the hallmark of our success - that businesses and municipalities working with The Lessler Group and its clients can be assured of the highest levels of professional excellence available in the region. • Has held appointed and elected public positions 1987 to 2001 – one term as Fairfield Planning Commissioner, two terms as Fairfield City Councilman (two years as Vice-Mayor), seven years as Board member for the Solano Transportation Authority, two as Chairperson. • Currently holds Board membership for charitable and business organizations; Fairfield-Suisun Rotary, Fairfield-Suisun Chamber of Commerce, Solano EDC, Chairman of the Board for The Salvation Army, Solano County Region. • Is an active member of the Fairfield-Suisun, Vallejo, Benicia and Vacaville Chambers of Commerce as well as Solano EDC. 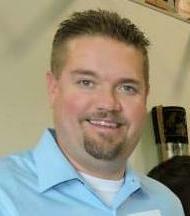 • 2013-2014 Chair of the Board for the Fairfield-Suisun Chamber of Commerce. "I’m not sure how many Board Chairs declare a “slogan” for their term, but as I pondered what I wanted to accomplish during my term, I could not help but focus on the idea of “doing business locally”. In our Chamber, we have the breadth and depth of businesses in almost every category, and the ability to utilize these resources whenever possible before going outside the Chamber to find the services and products we need to run our respective businesses. To be honest, I consider all of Solano County to be local, and if we want to maintain a healthy local business economy, it is my strong belief that we should look to our Chamber and our County first, and only then reach outside if we are unable to meet our needs here. Call your Chamber; ask which members might provide the services you are looking for. You might be surprised at how deep the local resources are." 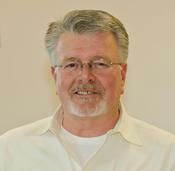 Steve has lived in Solano County for over thirty years with his wife Becky and two sons, Kyle and Evan. He attended the University of California at Berkeley for his Bachelor's degree in Psychology and went on to attend Golden Gate University in San Francisco for an MBA, concentration in Logistics. During the first twenty years of his career, he worked in distribution and production management, concentrating in the last twelve years on Solano County marketing and business development.